*Everyone from Prince Charles, who read a passage from the KJV for the “YouTube Bible”, to stalwart atheist Christopher Hitchens, have participated in the 400th anniversary of the Bible translation that is not only respected as a religious text but also as a literary masterpiece. “Though I am sometimes reluctant to admit it, there really is something ‘timeless’ in the Tyndale/King James synthesis,” admitted Hitchens in his commentary featured in Vanity Fair. “For generations, it provided a common stock of references and allusions, rivaled only by Shakespeare in this respect. 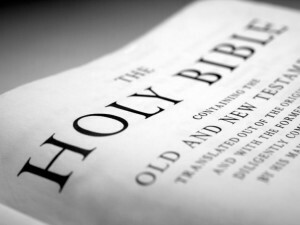 The King James Version was commissioned by King James I during a time of unrest and division in England. He brought together Anglican leaders and Puritans – who had disdain for one another – at Hampton Court in January 1604 for a conference that would lead to a new translation. It’s the word of God, look at Genesis 1:21 And God created great whales,… Now look at Jonah in the belly of a whale. If you doubt Jonah, why would the world beg God for grace, his salvation? Their only concern is blessed be the Lord, who gives blessings. Notice read carefully * Amos 3:7 Surely the Lord will do nothing, but he revealeth his secret unto his servants the prophets. (Now Notice, Matthew 24:36 no man knows the day) *** God reveals the day in Jeremiah 42:21 And now I have this day declared it to you; but ye have not obeyed the voice of the Lord your God, nor anything for the which he hath sent me unto you. *Zechariah 7:3 explains the fifth month* And to speak unto the priest which were in the house of the Lord of hosts, and to the prophets, saying, Should I weep in the fifth month, separating myself, as I have done so many years? *Guess what 7 times 3 is 21!